Why Should Girls learn To Play Tennis? I have been always passionate about motivating more and more girls to play tennis. I love to share my understanding of why girls should learn to play tennis, with parents and coaches. 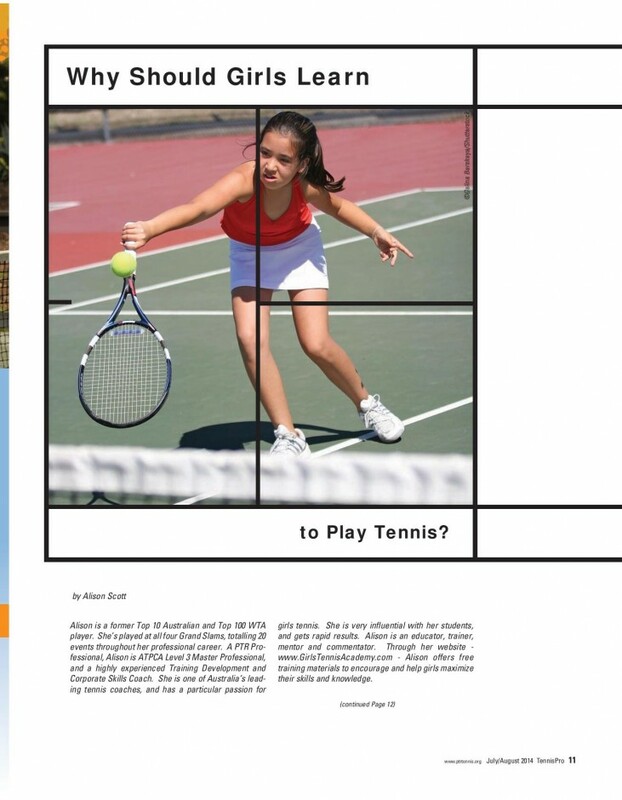 Here is my article about Why Should Girls Learn To Play Tennis?, which got published in Tennis Pro Magazine July/August 2014 edition.